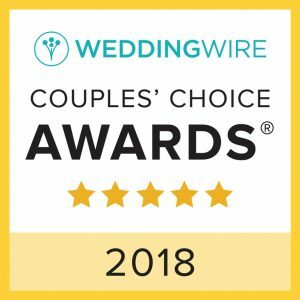 We are very proud and profoundly honored to be the 2018 Weddingwire.com Couples’ Choice Awards® winners! 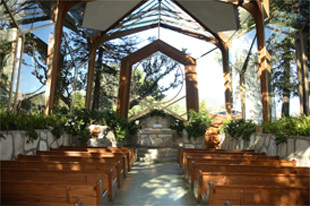 There is no better recognition than that by those who get to experience us and our ceremonies first-hand, the couples themselves. Thank you for choosing us for your historic day. Thank you for the recognition! This Award is earned by the symbiotic effort between our hard-working and highly-dedicated teams: our delightful Reservations, our gracious Wedding Directors, our highly spiritual Ministers, our heavenly Music Director, our unstoppable Landscapists, our reliable Service Attendants, our kind Administration and Accounting, our nurturing Visitors Center, our stunningly creative Videographers and Photographers, and our resourcefully inventive Grounds Keepers. This is an award that goes to the Waykeepers of our beloved Chapel! We are very happy, proud and honoured to receive it. Thank you, Couple’s and Weddingwire! 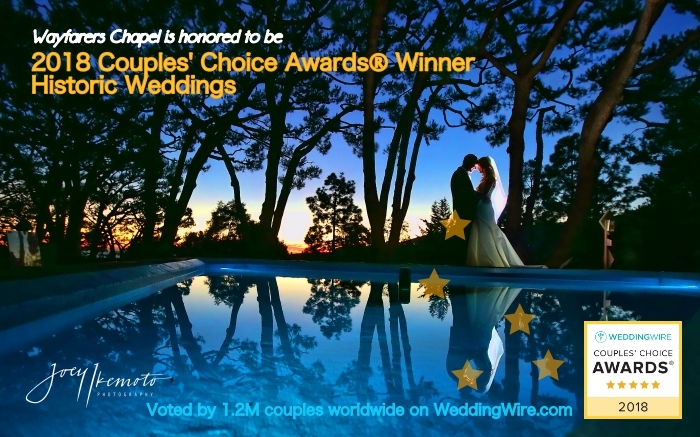 Unlike other awards in which winners are selected by the organization, the WeddingWire Couples’ Choice Awards® are awarded solely based on the reviews from over 1.2 million newlyweds. Awards are determined by a combination of excellence in four factors: Quality: overall rating, Quantity: total number of reviews, Recency: review performance from prior year and Consistency: consistency of reviews from year to year.